Kolkata is now getting colder everyday these days. Even though I like winters more than summer, I am still in that phase where I kind of cant let go of my summer clothes. Hence I am trying to find out ways to fit them into the Fall / Winter wardrobe. From this post onward I will be doing a series of transitioning some Summer clothes to Fall/ Winter Looks. For today's look I am wearing a dress, a cardigan and a scarf. Lets break this look down. I started with this very comfy black summer jersey dress. Threw this green, quarter sleeved light cardigan and pulled out my woollen scarf with olive green coloured details on it. I added this chunky brown belt to distinguish my structure and help me not loose my frame in all of these layering. It also helped me to add more details to my dress with a hint of feminine touch mainatining an hour glass figure. Hope you liked this outfit idea and stay tuned for more transitional ideas. Until next time..keep it stylish .......keep it functional. Amazing outfit! Love the layering! love how you transitioned this look! super cool outfit! That is such a pretty color green!! Thanx Hannah.....it has become one of my fav colours. Your layering here is so pretty! It's getting very cold here in Toronto, missing summer already! Great outfit, love that dress, so versatile. Great post. Love this! the perfect fall/winter look indeed! Would you like to follow each other on GFC?! Let me know and follow me on my blog, I will follow you right back on both GFC and Bloglovin! 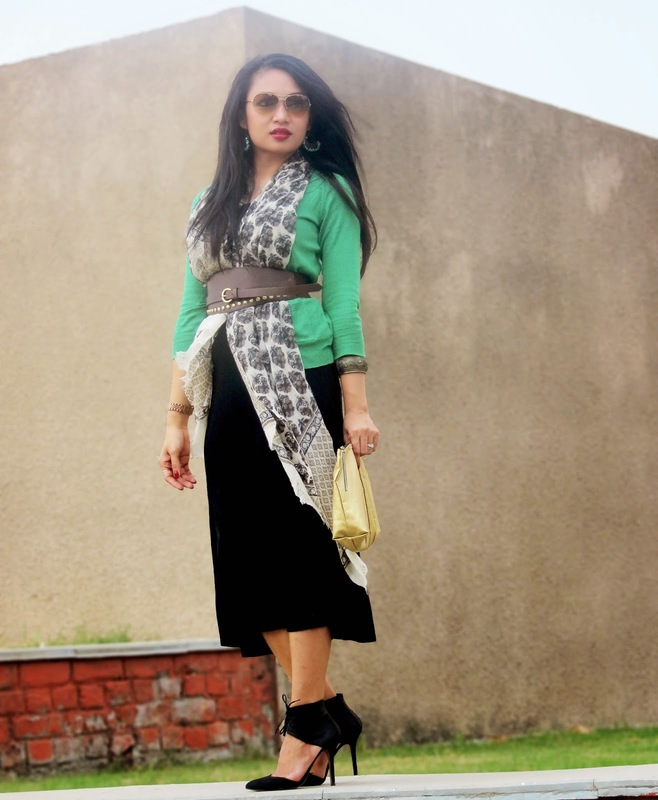 Love the way you have styled your look with the scarf & belt. 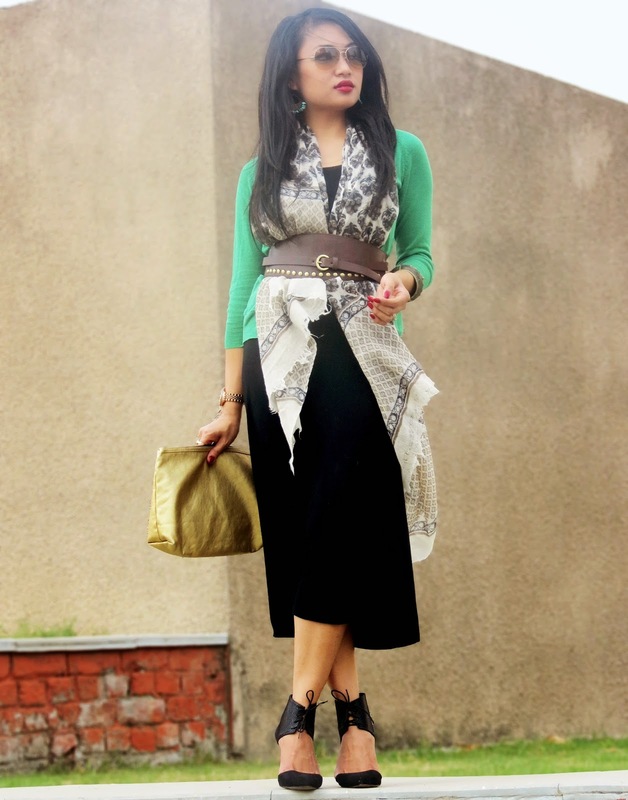 Love the way you transformed your dress into a fall outfit! Your cardigan is gorgeous, love the color! Your weather looks still so nice there but it is well into winter here already!